During the first week, students have daily lessons with renowned soloists and chamber-musicians. During the second and third week, individual lessons are taught by musicians of the Mahler Chamber Orchestra focusing on audition repertoire. The students play in chamber-music groups, which over the course of the whole Academy will rehearse one of the great works the chamber-music repertoire. Rehearsals begin during the first week under the tutelage of the masterclass-teachers. It continues from the second week onwards with the musicians of Mahler Chamber Orchestra. At this point, there will also be a limited number of groups in which students and members of the MCO play together. 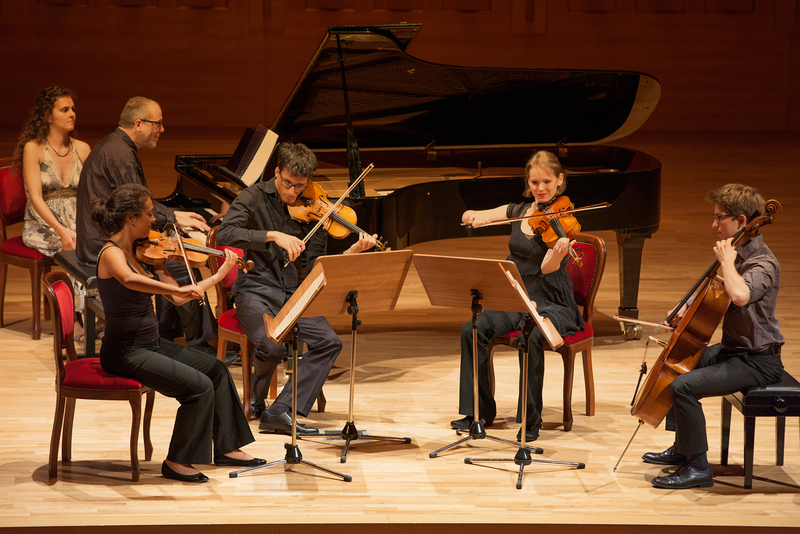 At the end of the Academy all groups will perform in chamber-music concerts, which take place in Bolzano’s old town. Many groups also perform more than once as part of our outreach-concerts. All students together with the 15 musicians from Mahler Chamber Orchestra will play together in an MCO-size chamber orchestra which is conducted by one the MCO’s regular conductors. The orchestra works on symphonic masterpieces, which are part of the Mahler Chamber Orchestra’s core-repertoire. The students have the opportunity to experience the special way of orchestra playing, which Claudio Abbado envisaged and which the Mahler Chamber Orchestra practices, in direct collaboration with their older colleagues. 2019 the orchestra will be conducted by Marc Minkowski and will perform Franz Schubert's Symphony No. 9 ("The Great"). Symphony No. 9 D 944 "The Great"